Chocolate covered salted caramels. Need I say more? Okay, folded into caramel ice cream swirled with sea salt for a truly divine indulgence! 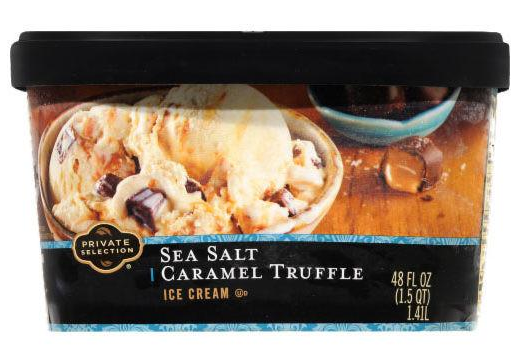 My husband and I are loving several of the Private Selection Ice Cream flavors available at Kroger this summer. I purchase them in the pint size only, so we aren't tempted to so too much over indulging! The nutrition facts on this flavor says 4 servings at 220 calories per serving. I'm going to confess and tell you that we simply split the pint between us! But, we don't eat it every day. And it's less fat and calories than what we would eat if we went out for ice cream. We love this flavor with its little gems of chocolate and caramel! Very satisfying!